It’s a terrible shame that the Expo Line will NOT be grade-separated where it crosses heavily-trafficked Lincoln Boulevard in Santa Monica! Morris, the trains will be subject to traffic signals at the Lincoln/Colorado intersection, and will stop there on red lights. I, myself, wish for a casual station stop at that intersection so I could walk the 100 yards from there to my workplace. Maybe somewhere down the road they can embark upon a grade-separation project for that stretch of track. Google Maps shows that the property lines in that area still follow the old right-of-way. 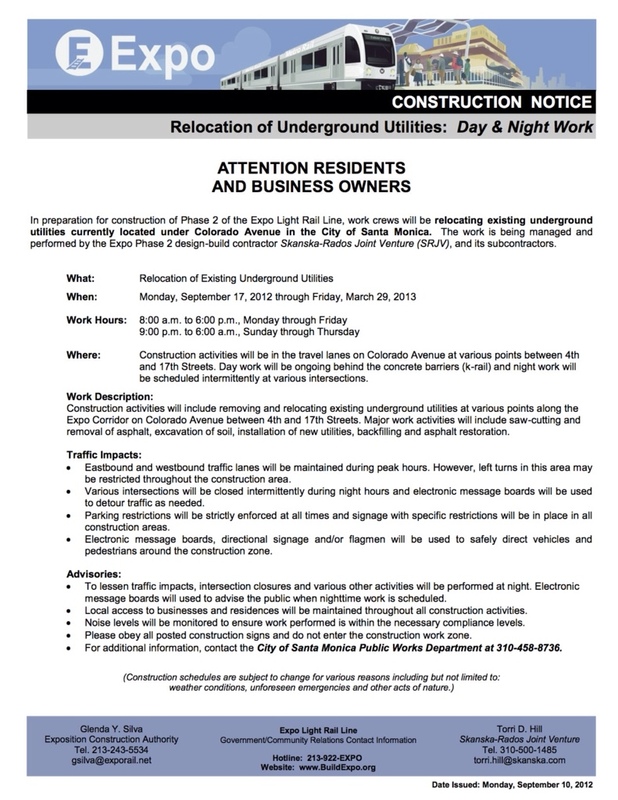 A short stretch of tunnelling from 17th to 4th might not be prohibitively expensive considering the congestion one encounters in downtown Santa Monica these days (and presumably more so in years to come). Which is precisely why it was a very poor choice by the city of Santa Monica to demand street-running here. How can a city demand street-running but refuse to give the train full priority at street crossings?! These are contradictory priorities and its a shame that SM cares more about some supposed aesthetic appeal of this mode choice rather than what would be most efficient for both road and rail users! What’s even more distressing is that original plans called for an elevated structure and terminal in this section. Thanks SM for sabotaging the last leg of the expo line and further hindering its rapid transit characteristics.